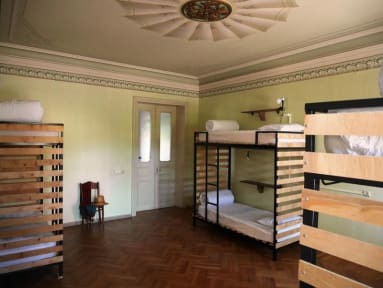 Hostel Vagabonde i Kutaisi, Georgia: Bestill nå! 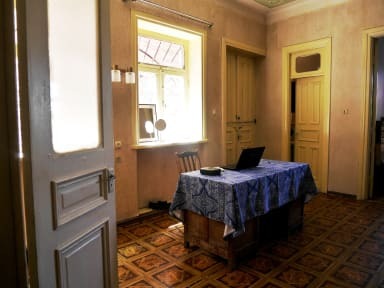 The Hostel Vagabonde is a lively hostel set in the charming city of Kutaisi. Our experienced, professional and friendly staff will know just how to make you feel right at home, with their expert advice and first rate service! Almost all of the sights are withing walking distance. But what makes this place great is that it is right near by river Rioni, it is really so calming to be around it. If you would like to experience Georgia like a true Georgian, you have chosen the right spot! Check in from 00:00 - 00:00. Check out before 11:30 - 13:00.